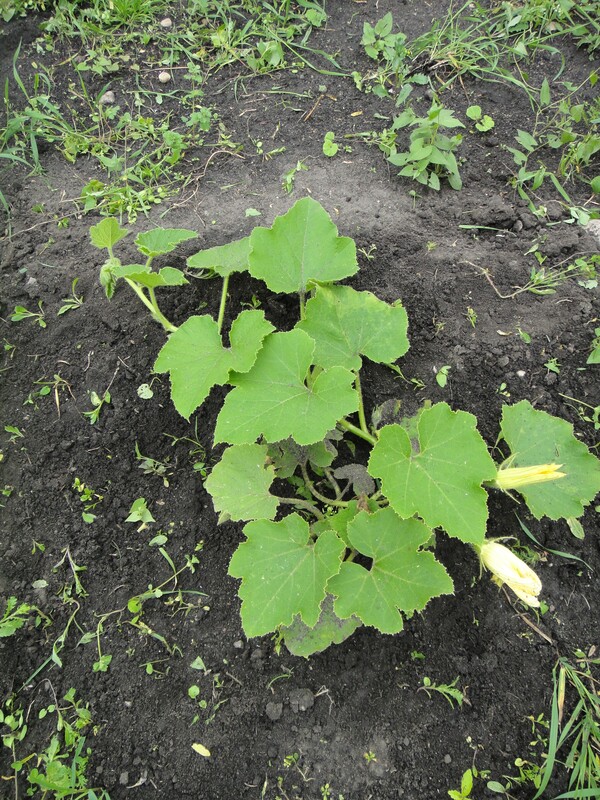 Garden Update! July 20, 2011. 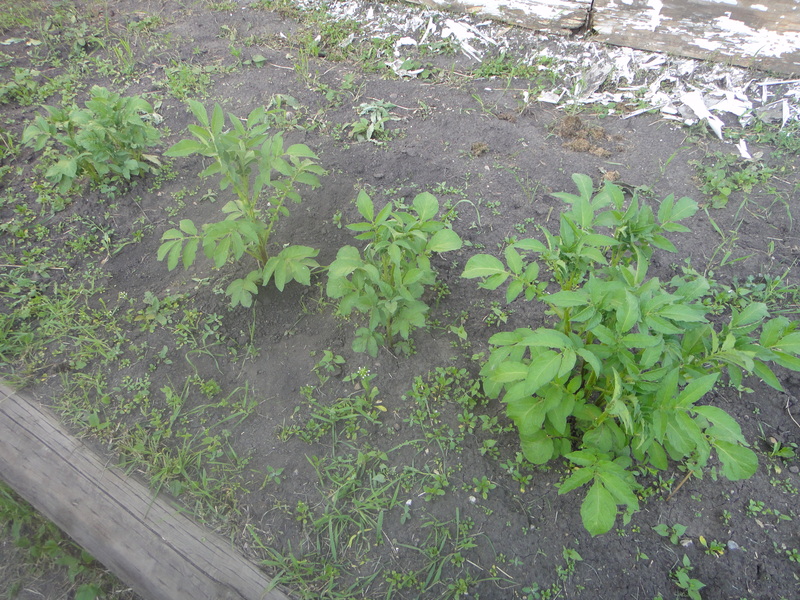 Here are my potato plants, starting to grow big. 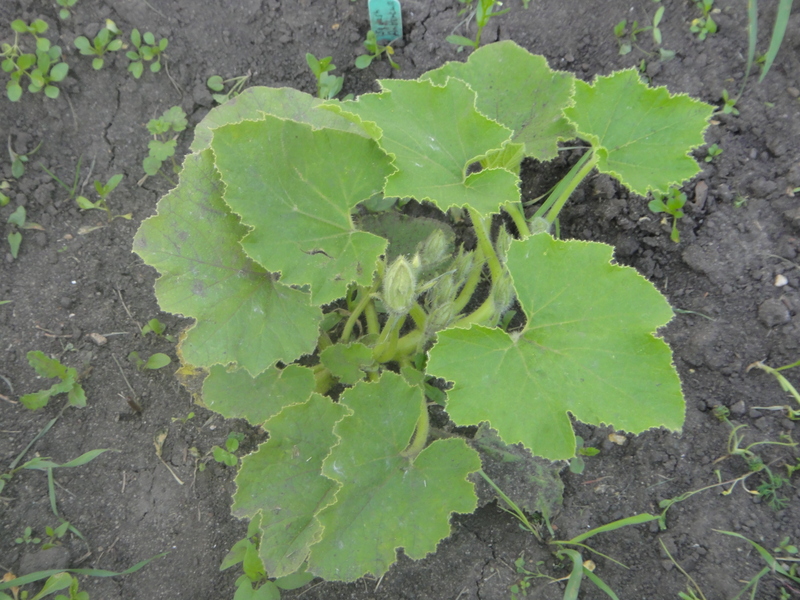 Here’s the Ambercup squash with its first budding flower. 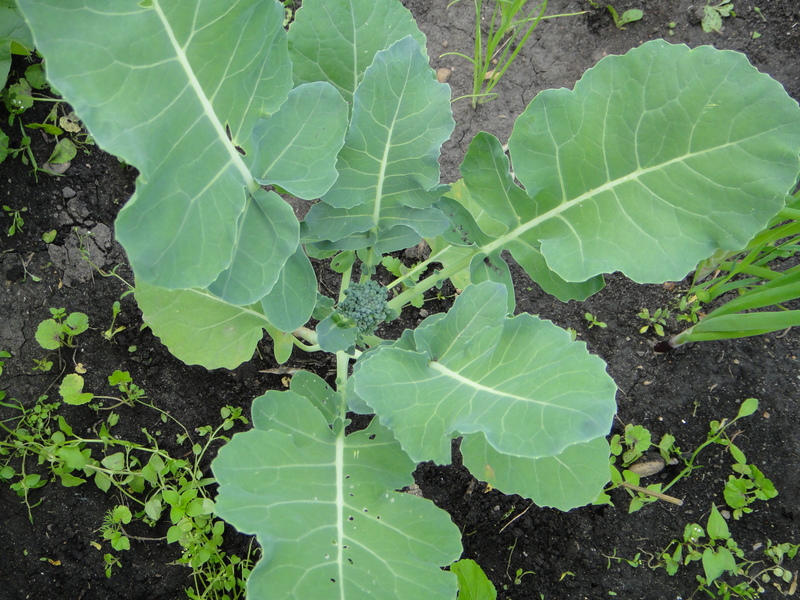 The broccoli is beginning to grow bigger! 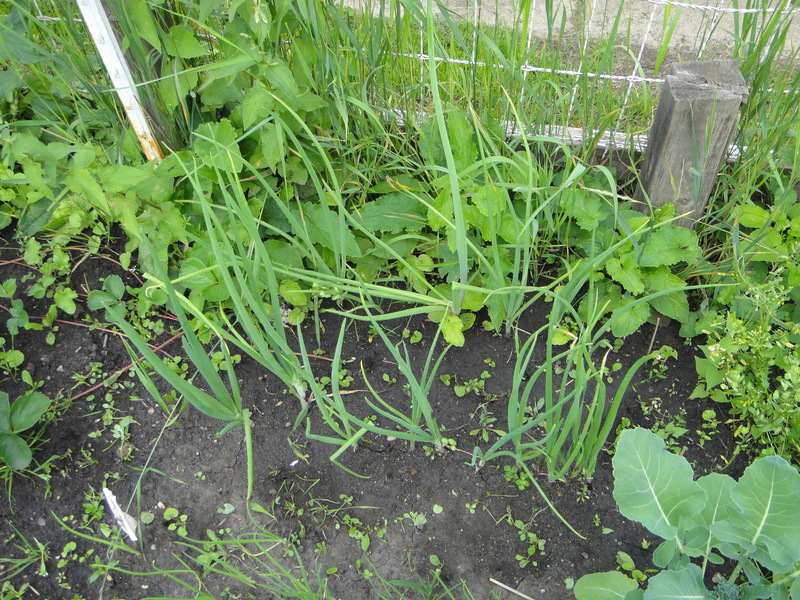 Here are my might red onions. 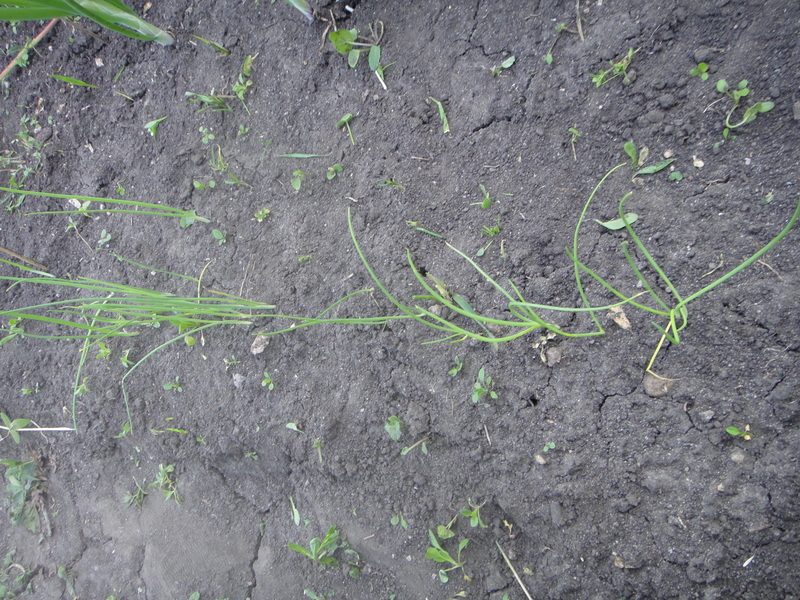 And the baby green onions. 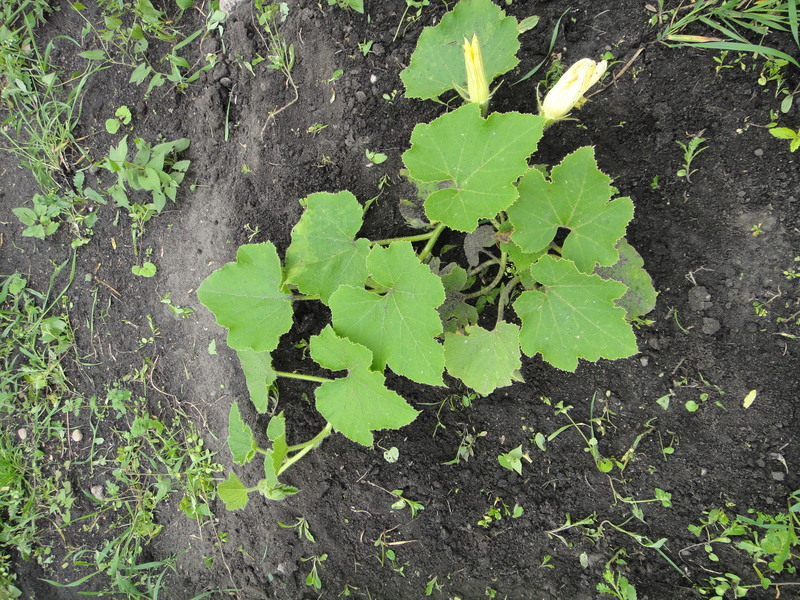 And the zucchini plant. Goodness it’s getting big. 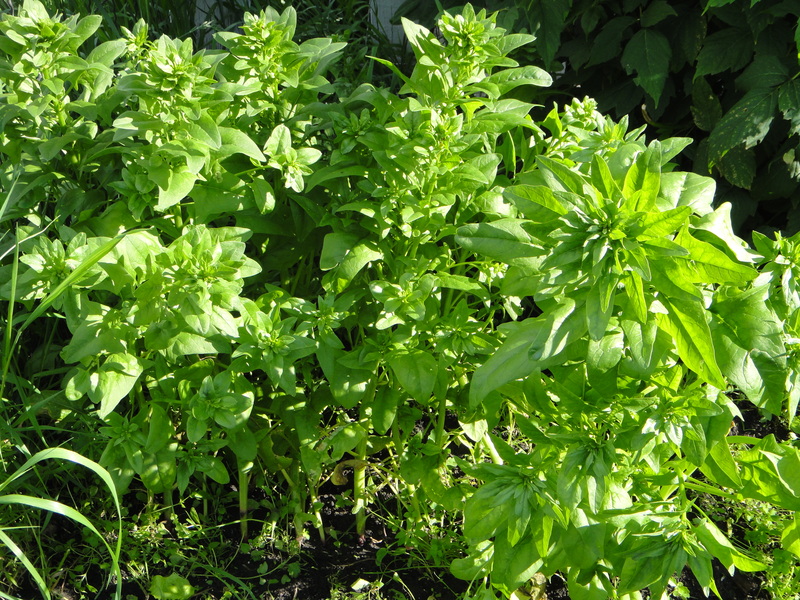 The spinach is growing nice and strong. 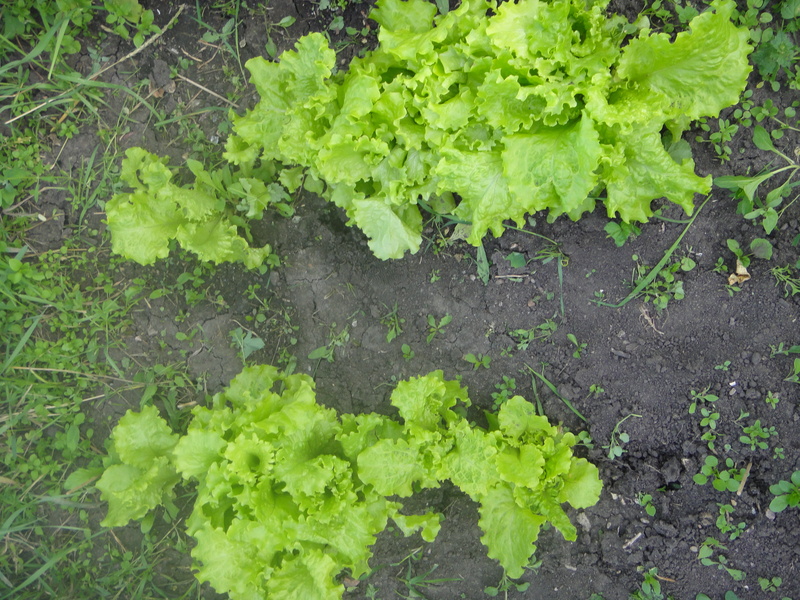 And the lettuce is looking great! 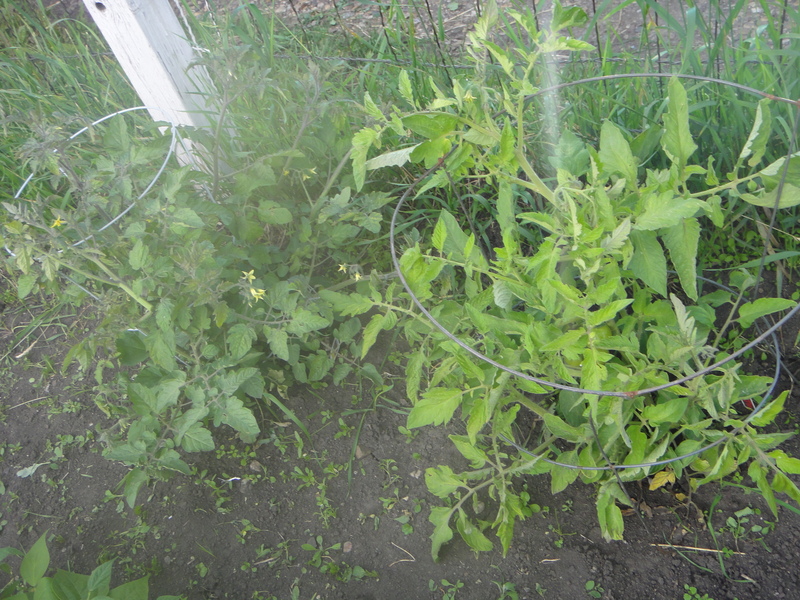 The tomato plants are getting bigger. 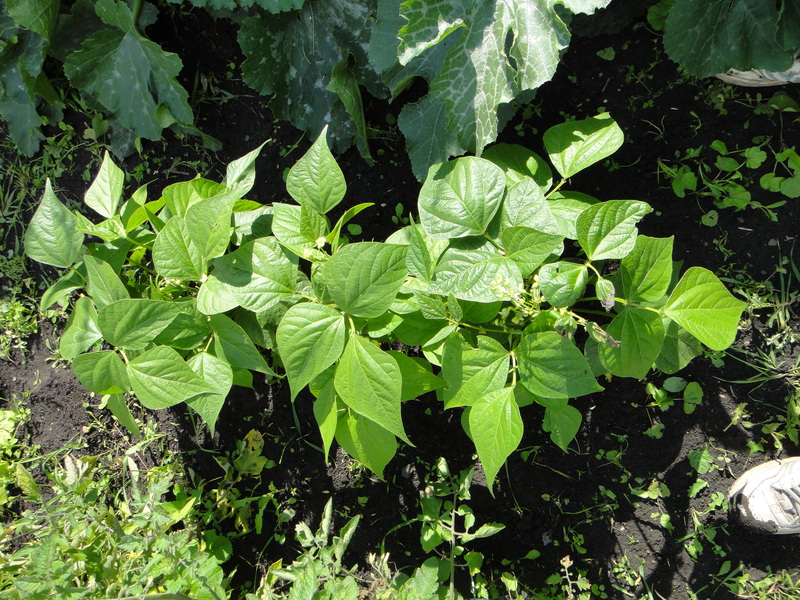 And the green beans may actually produce! Finally! 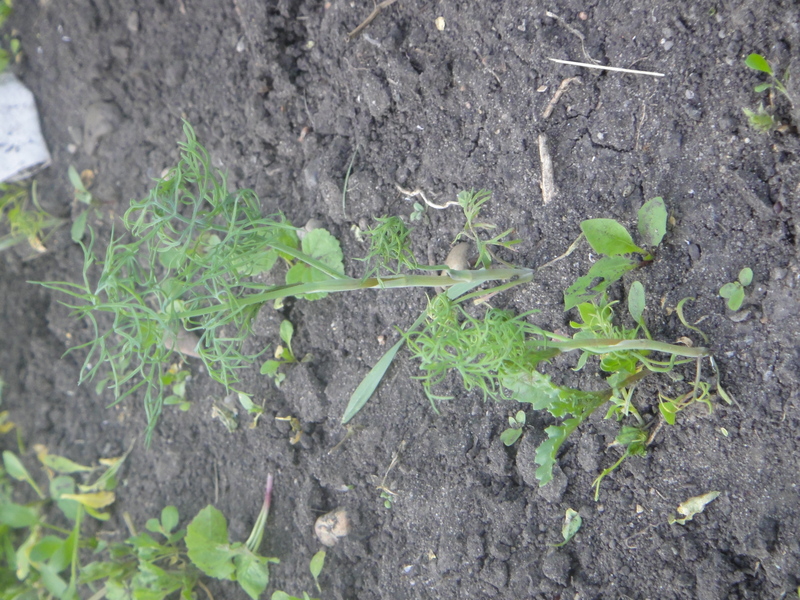 Dill! We were beginning to think you’d never show up, little buddy! Here’s the amber cup now. 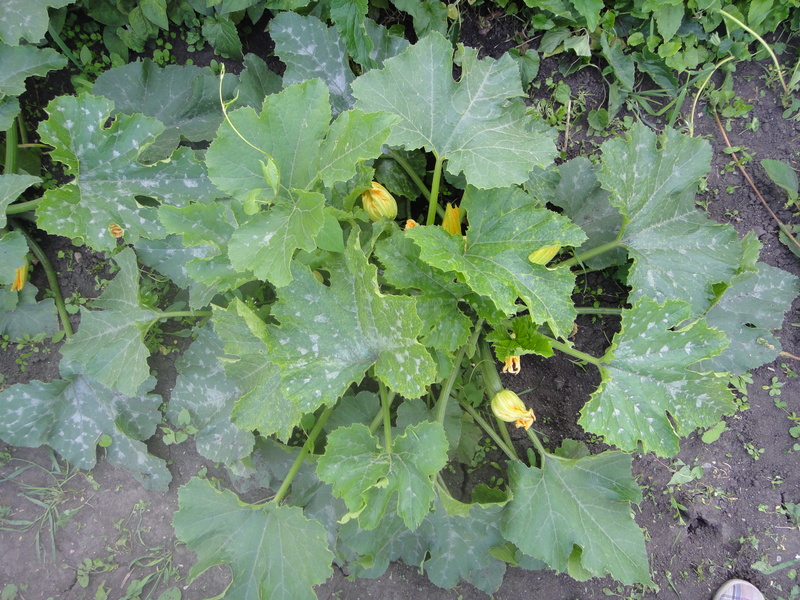 Flowering and starting to expand! wee! Ya. 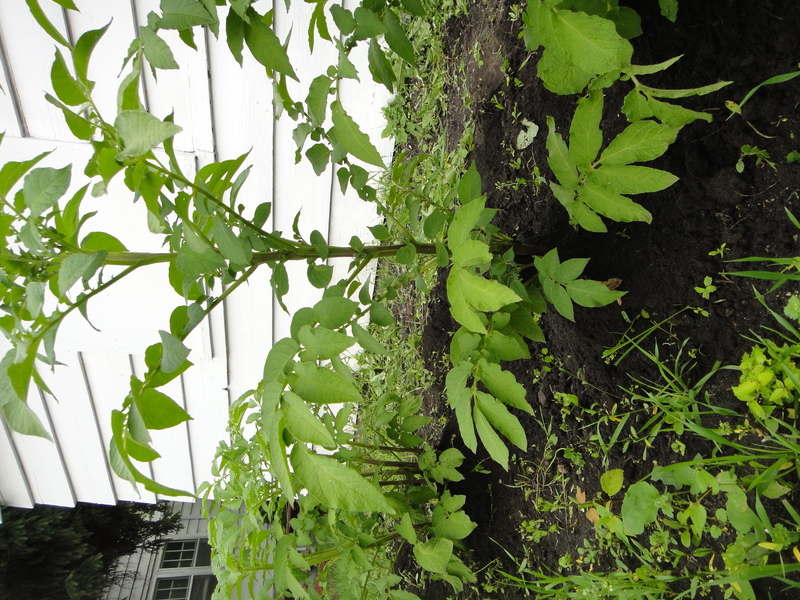 Those are the potato plants. 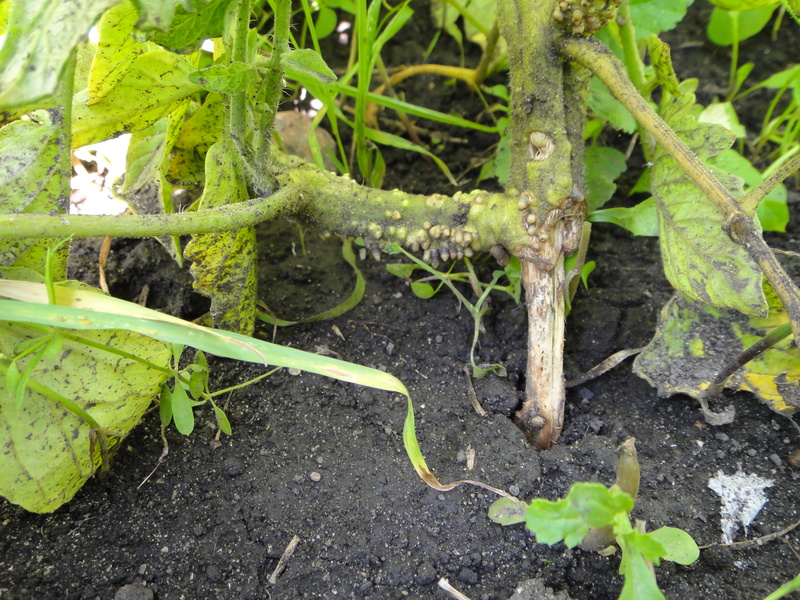 See what a little rain does for them? Wonders!! 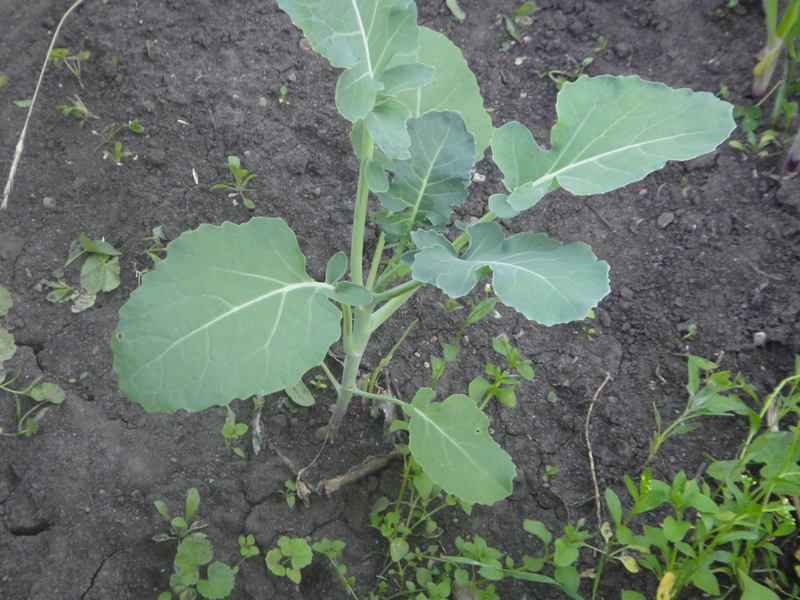 I even had to hill them, their growing so fast! 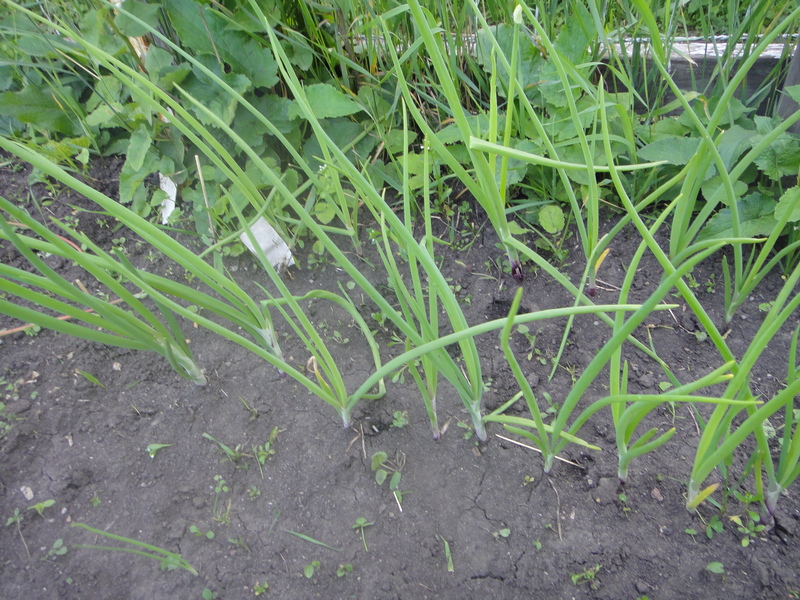 The red onions really are getting big. 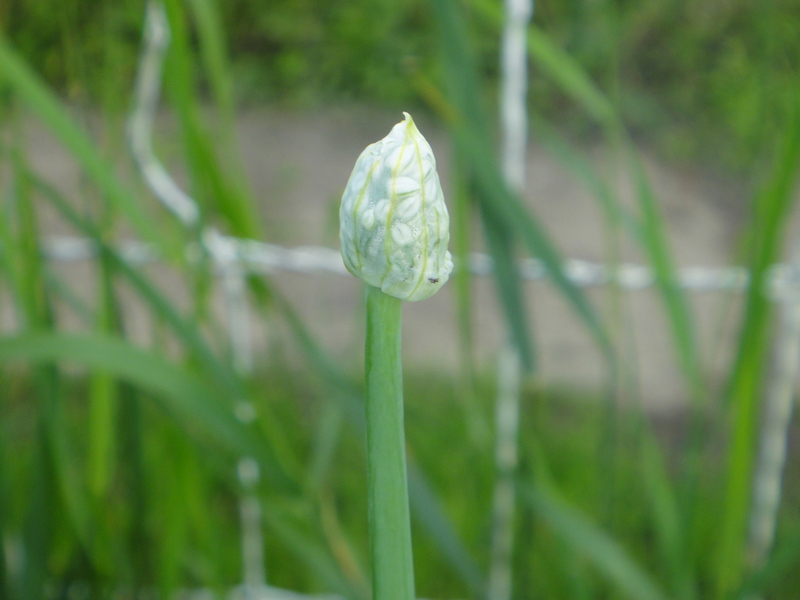 And they have one beautiful little flower at the stem! Cool looking, eh? 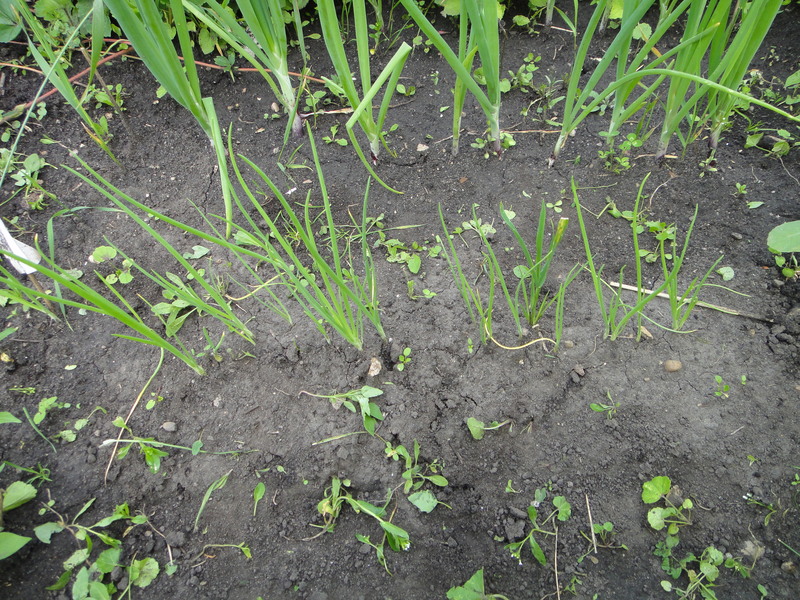 The green onions are progressing! Wow. 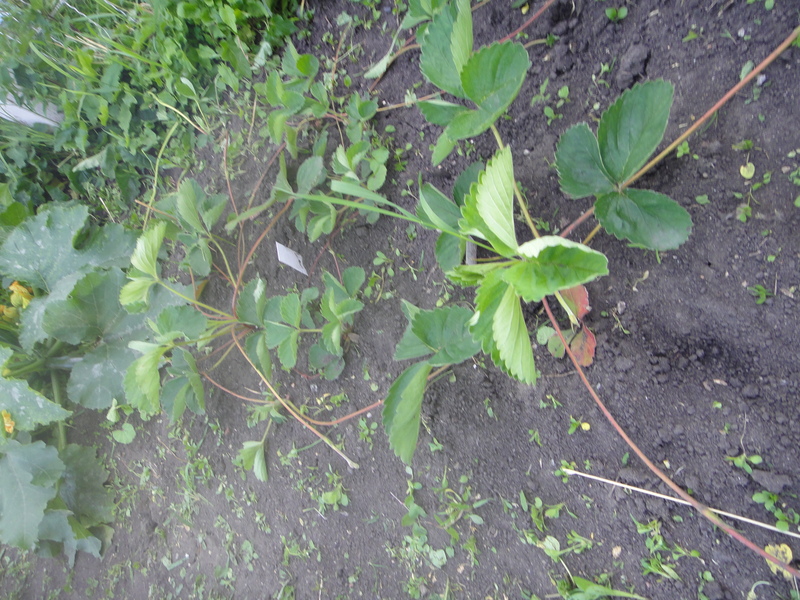 Strawberry. What are you doing? Honestly, quit shooting, you have no where else to go! 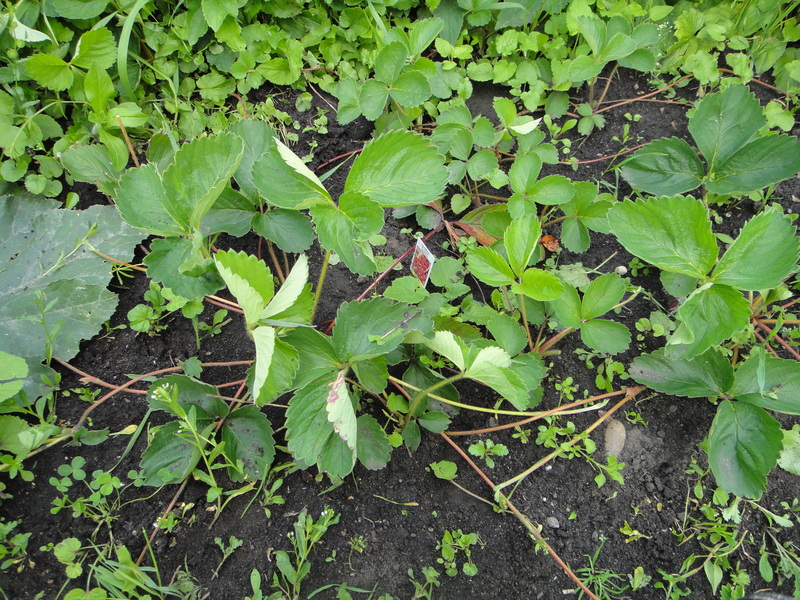 Grow some berries already! 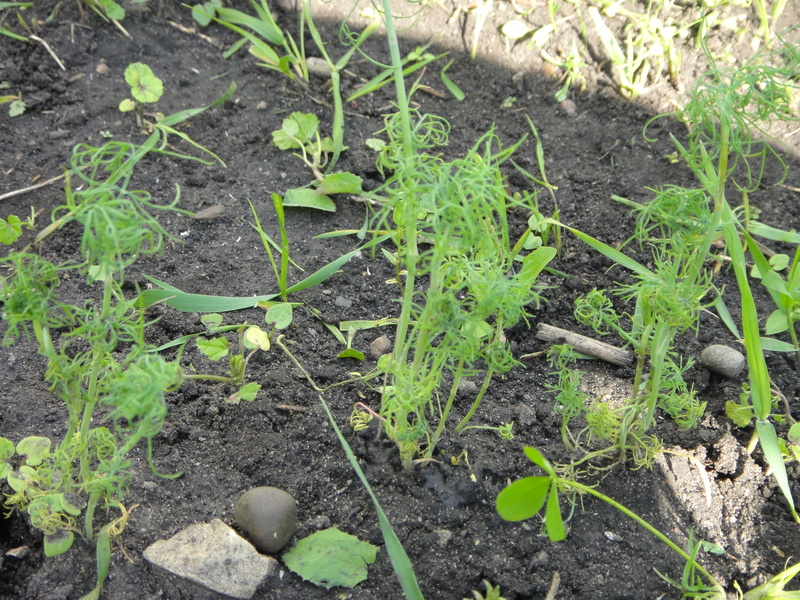 Here the baby dill, growing bigger! 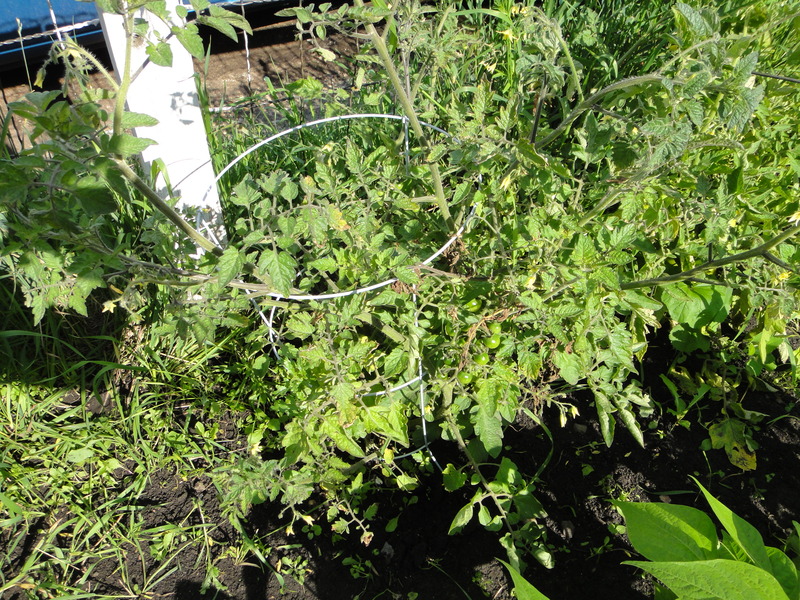 That’s my tomato plant, if you can believe it. It’s getting lost in the green. 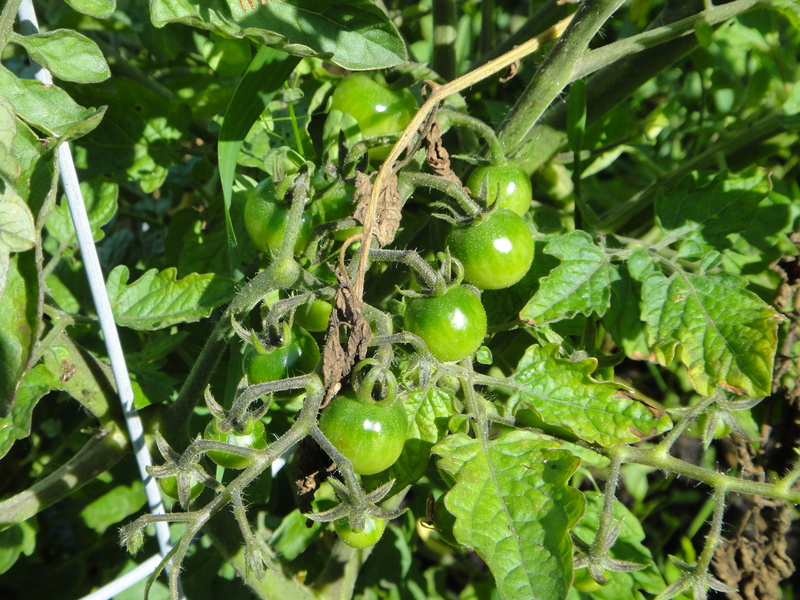 It’s got tomatoes growing! wee! 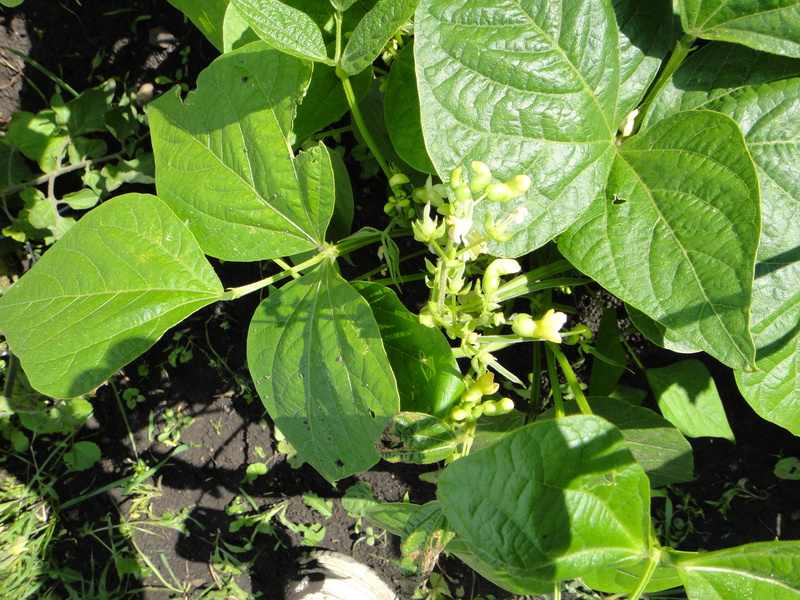 And they’re starting to flower! Yay!! My God. 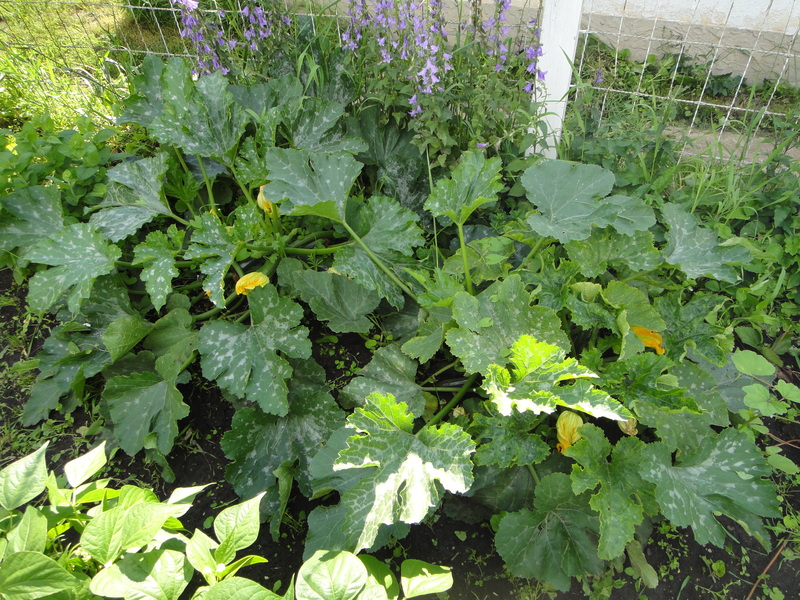 I’m going to be drowning in zucchini pretty soon. I definitely over-estimated with two plants. 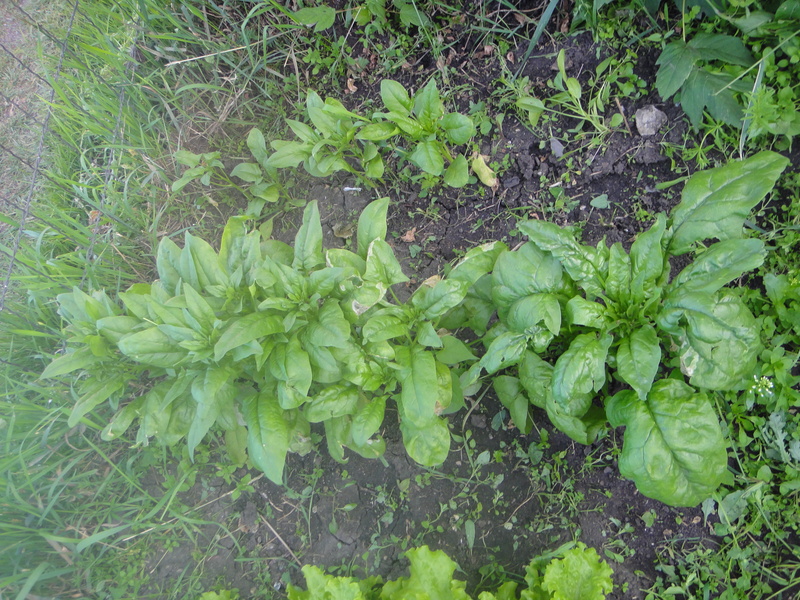 The spinach is going to eat me soon! When I was a kid, my favourite ice cream flavour was Mint Chocolate Chip. I use to love how the neon green ice cream had little chocolate treasures inside. I just loved it. So my adult self decided that it was time to harp back to my youth by using my favourite kitchen toy – my ice cream maker! 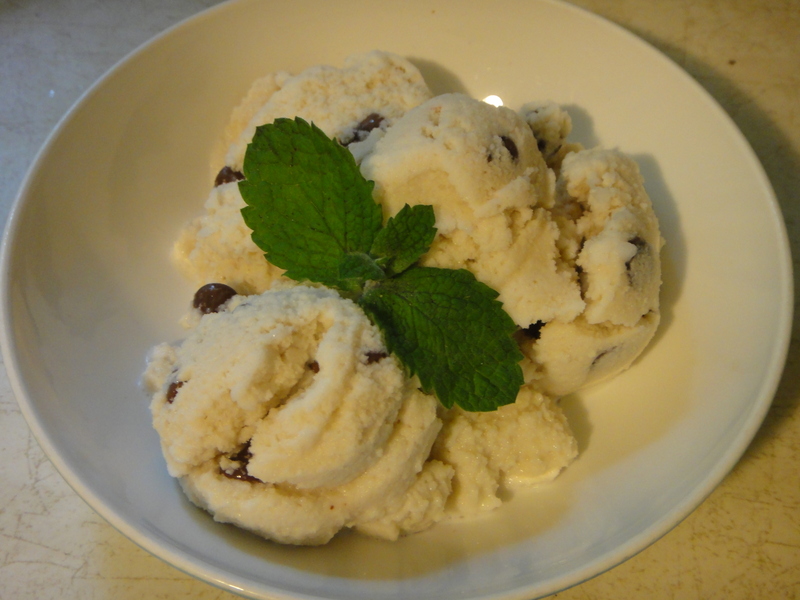 I made mint chocolate chip ice cream using delicious mint from my garden! This was far better than the neon green concoction that I use to love so much as a child. Honestly, once you try real mint chocolate chip ice cream, you will never go back! 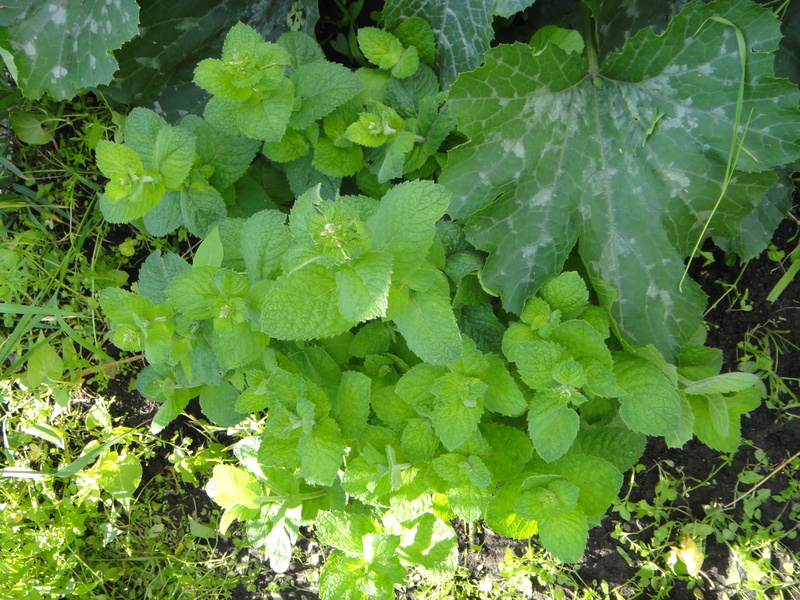 Here is my beautiful little mint plant, not so long ago, when it was still a baby. 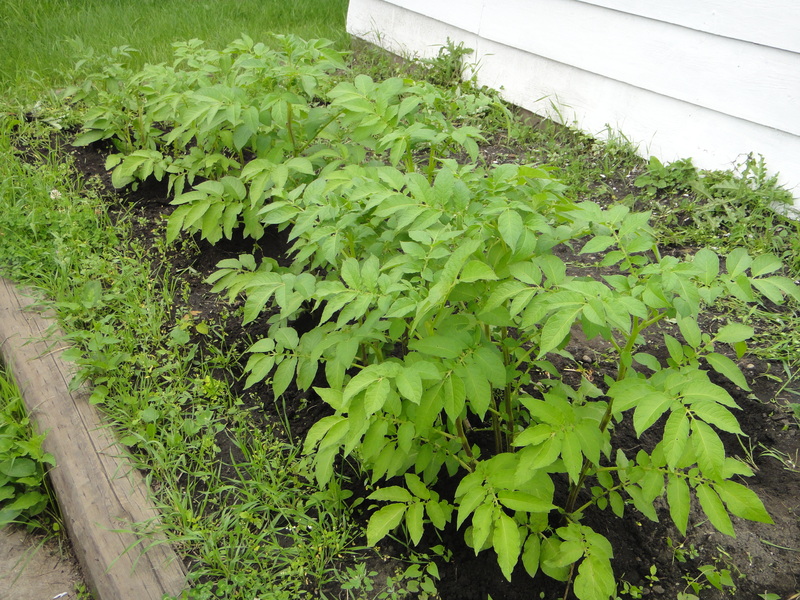 I cut about 2 cups worth of sprigs, and washed them very very well (my garden is kind muddy), and I placed them in a large pot. I added the cream to the leaves and let it simmer until it just began to steam. Then I quickly added the sugar and let it steep on the counter for about an hour. 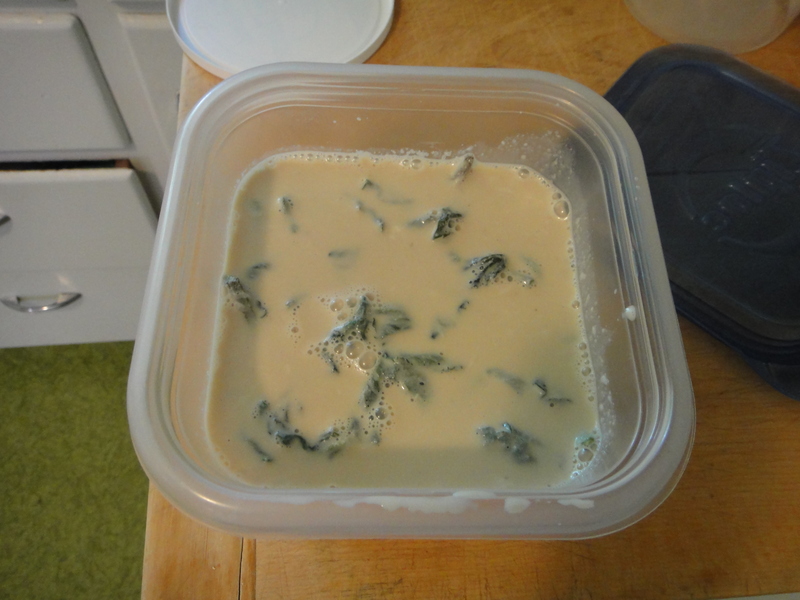 I then transferred the cream and mint into a Tupperware and let the whole thing chill out in the fridge overnight. 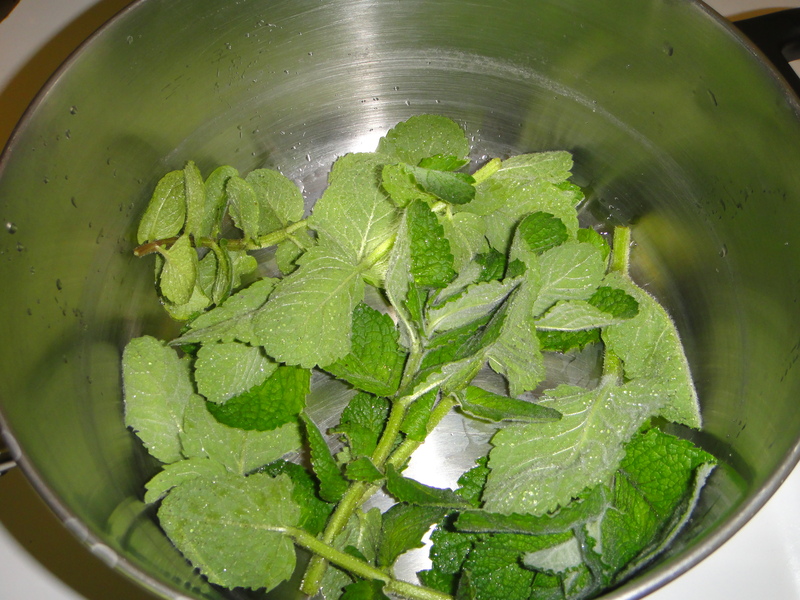 The next day, I carefully pulled the mint sprigs out and wrung them out the best I could, trying to preserve all of the minty infused flavour. 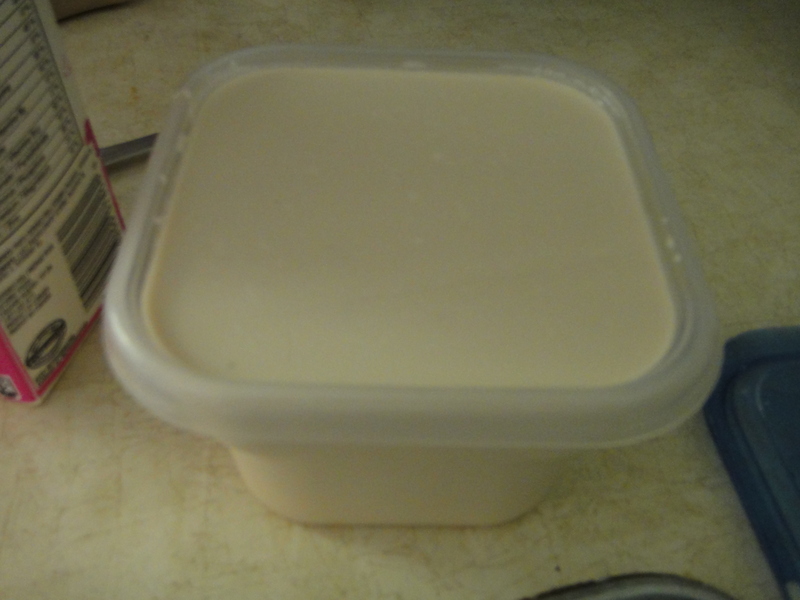 Here is the cream, with the milk added, before it went into the ice cream maker. I made the ice cream base first, before adding the chocolate chips for the last 5 minutes. Here it is! In all of it’s minty, chocolatey goodness. I made a lot of this flavour, and it didn’t last for long! 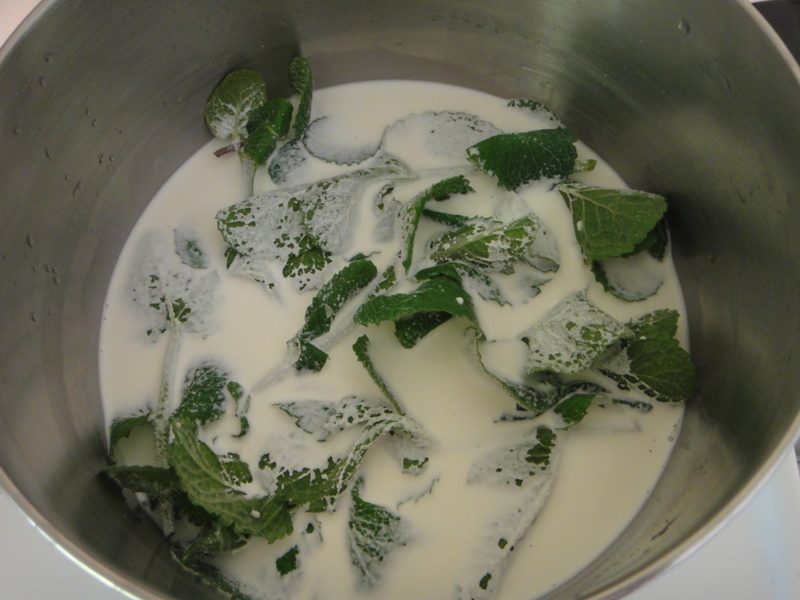 Over medium low heat, simmer the mint leaves with the cream. As soon as the cream is hot, turn the heat off and let the mint steep in the cream for at least an hour. Add the sugar and vanilla while the mixture is still warm. Transfer to a Tupperware and let sit in fridge overnight (or for at least 3 hrs). 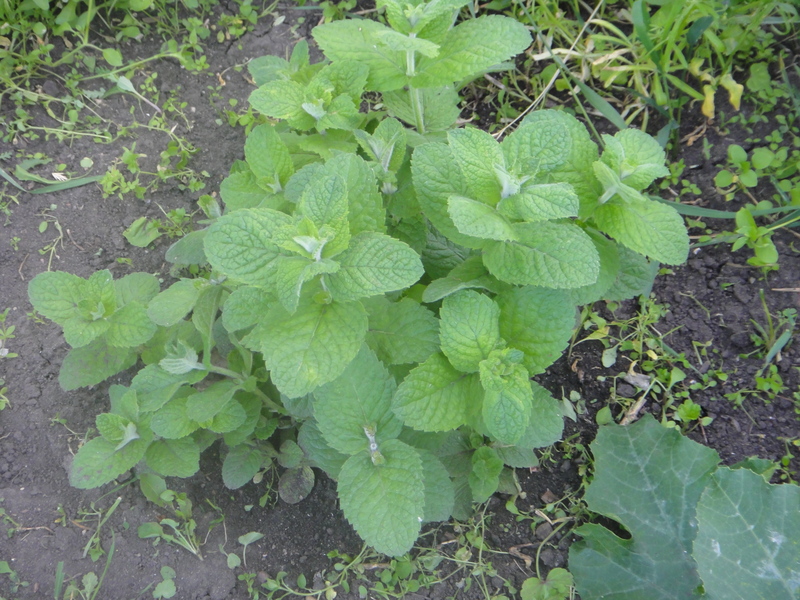 Remove mint leaves by straining, or by picking them out and pinching off every last drop of minty goodness. Add milk to mixture. Pour the mixture into your ice cream maker, according to it’s instructions. For the last 5 minutes, add chocolate chips and make sure they are incorporated completely. I suggest doubling the recipe for extra mint chocolately goodness. Honestly, it’ll disappear faster than you would imagine. Enjoy! I picked up some Tilapia from Costco during my last large grocery run. 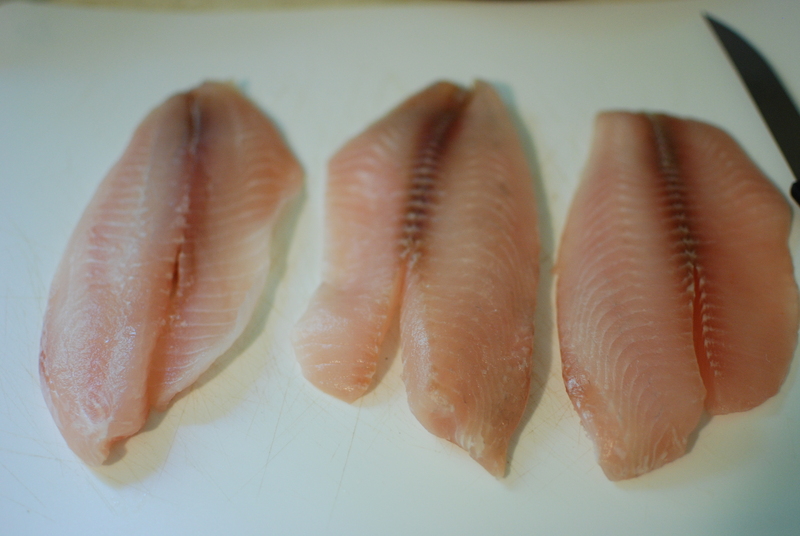 I figured – why not try something new, rather than relying on a staple fish like salmon? 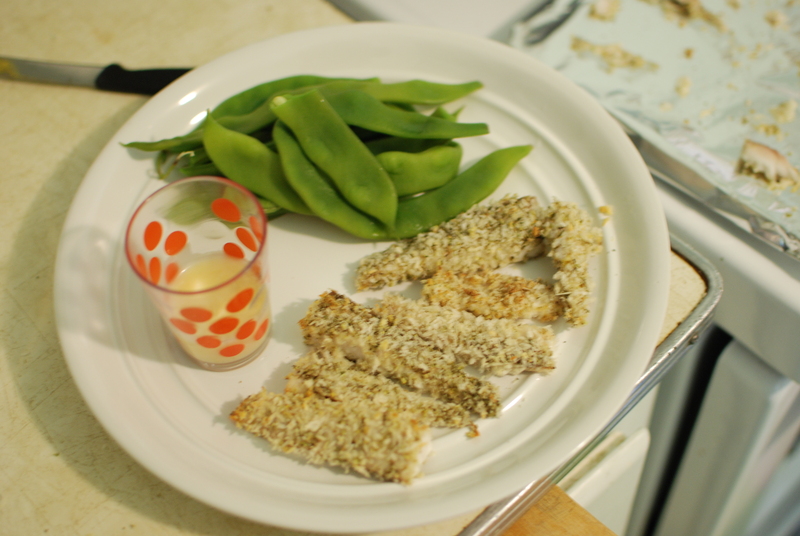 It was a good choice, because Tilapia makes for very good homemade fish sticks. 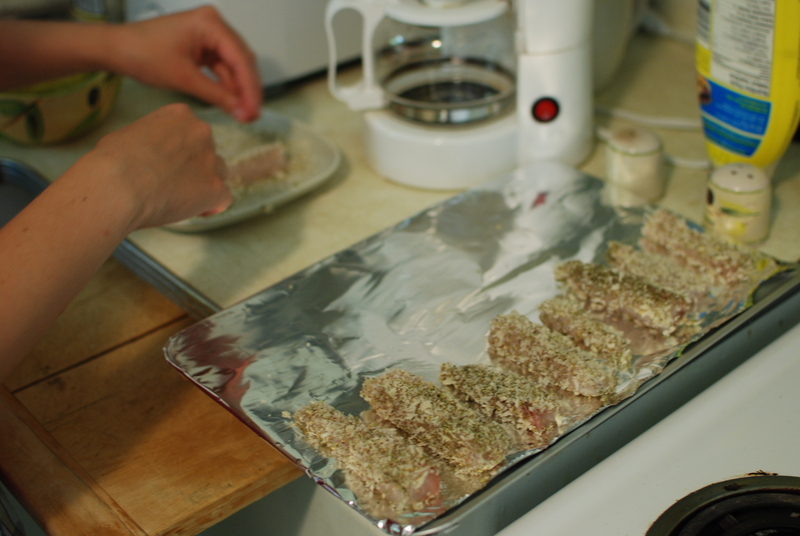 I used Panko as the base for the outer coating of the fish sticks. 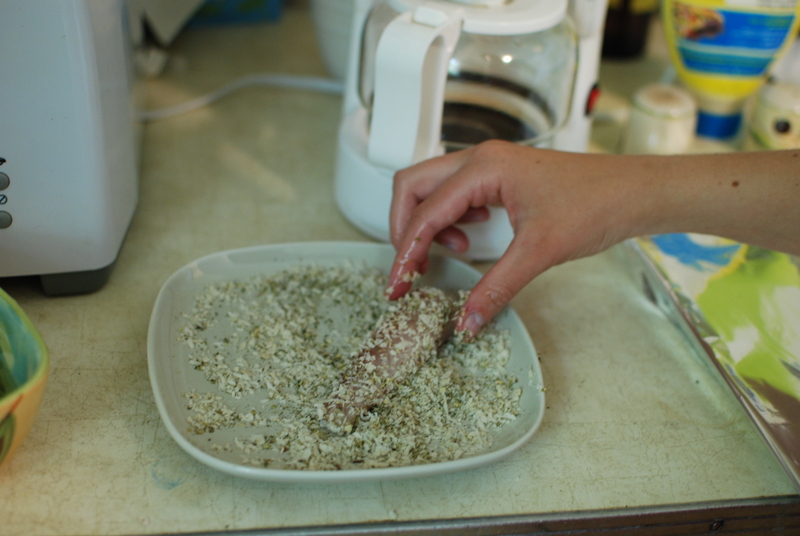 It’s a nice, light breadcrumb base that coats the fish well. 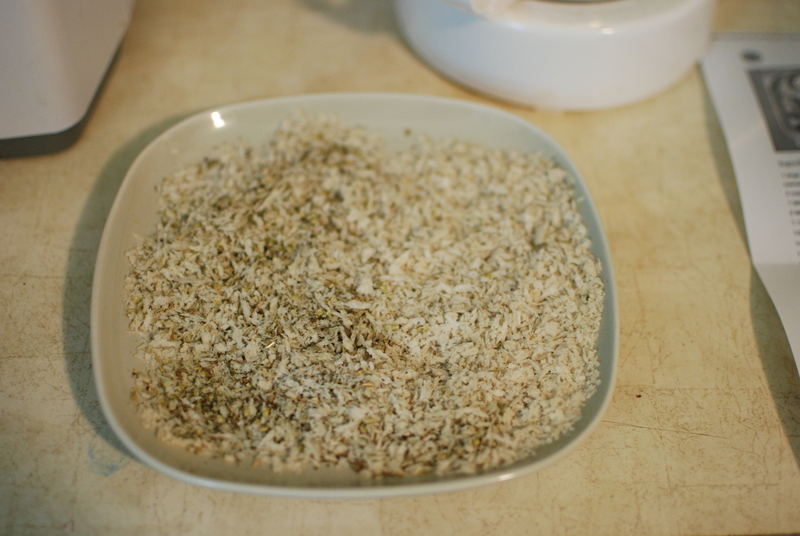 Here’s my base coating of Panko, Italian seasoning and salt and pepper. 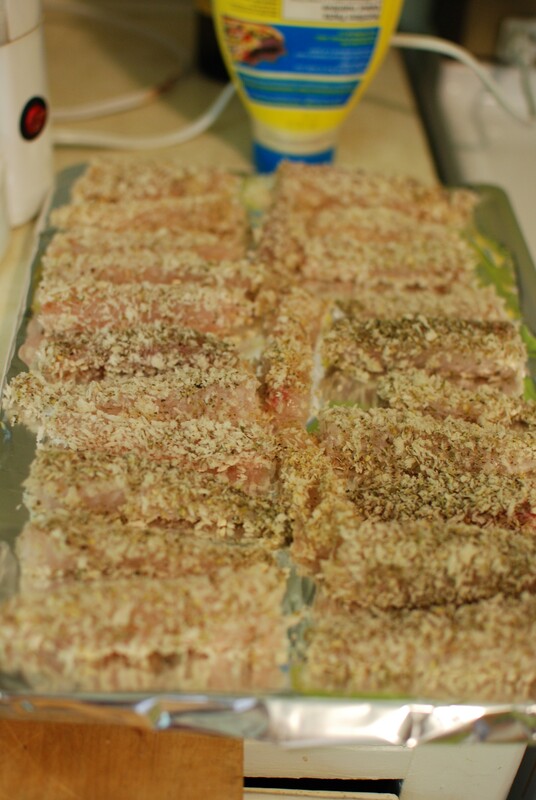 Here are the whole Tilapia fillets. 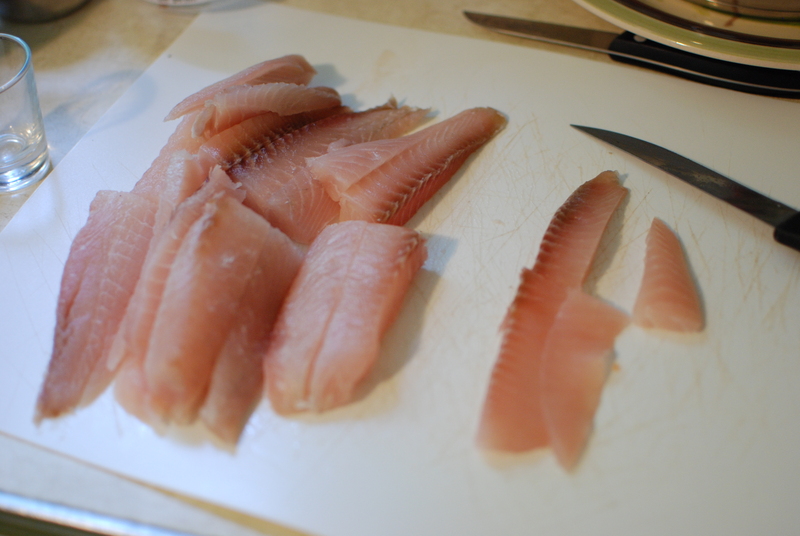 And here they are cut into fish stick pieces. I first dipped the fish stick pieces into an egg base. Then I rolled them around in the Panko mixture. 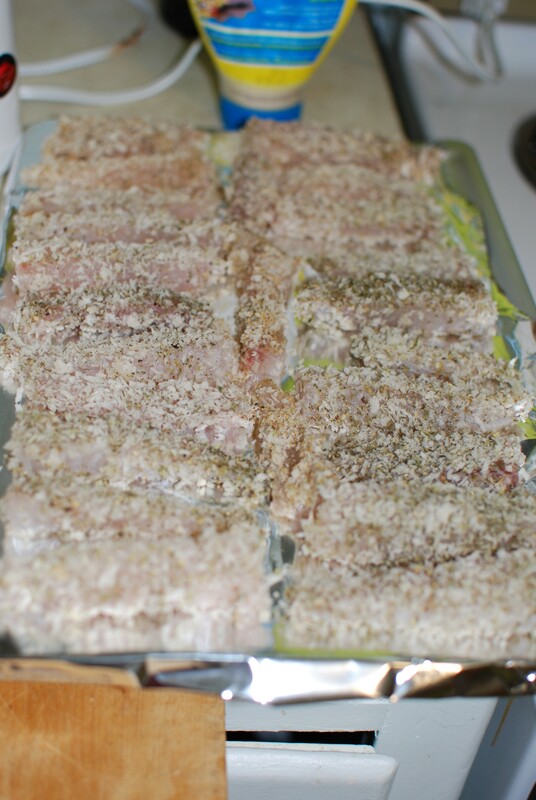 Here’s my tray of tasty fish sticks before heading into the oven. Here they are all flaky and crispy. 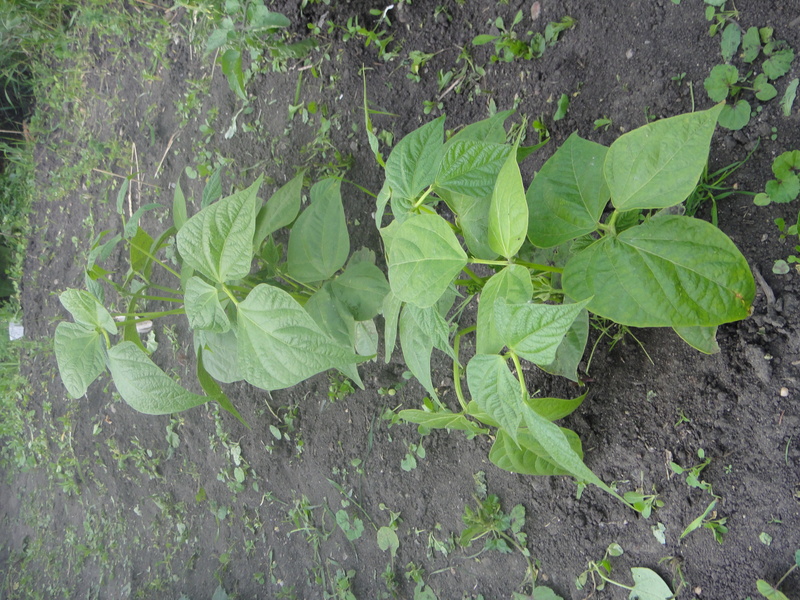 I served them with a side dipping sauce of honey garlic mayo and fresh green beans from the farmers market. Delicious! Tasty meal. My tip: make a lot, they go fast! Preheat oven to 475. Line two baking sheets with aluminum foil; set aside. Place egg in a wide shallow bowl; season with salt and pepper. In another bowl, combine panko, Old Bay, and oil. 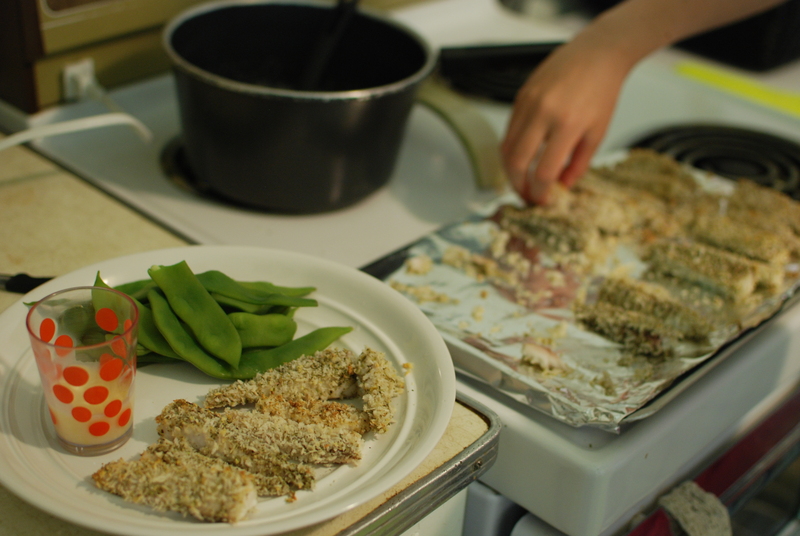 Dip tilapia into egg, shaking off excess, then into panko mixture, pressing to adhere. Place on prepared baking sheets. Bake until lightly browned, 12 to 15 minutes, rotating sheets from top to bottom halfway through. Hello Blogosphere! I am back from my camping vacation in BC. 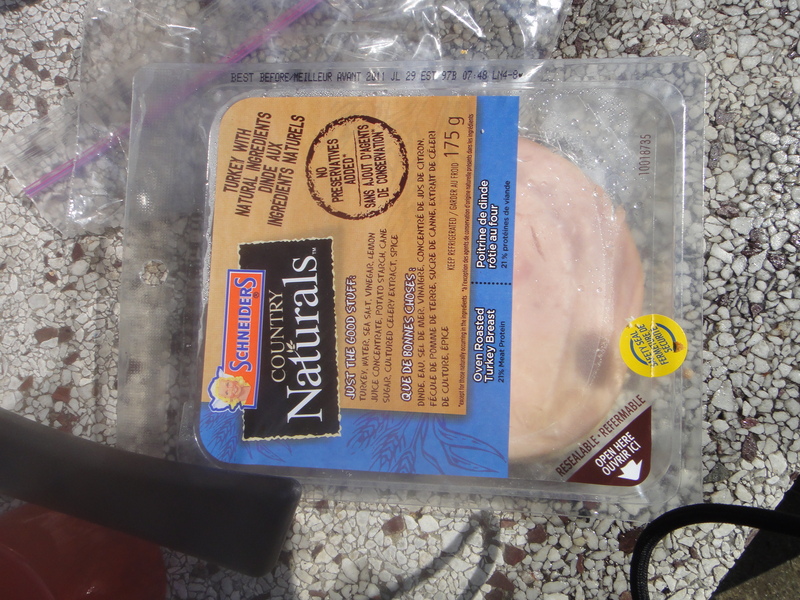 We toured around the Kooteney area and ate a lot of campfire food. 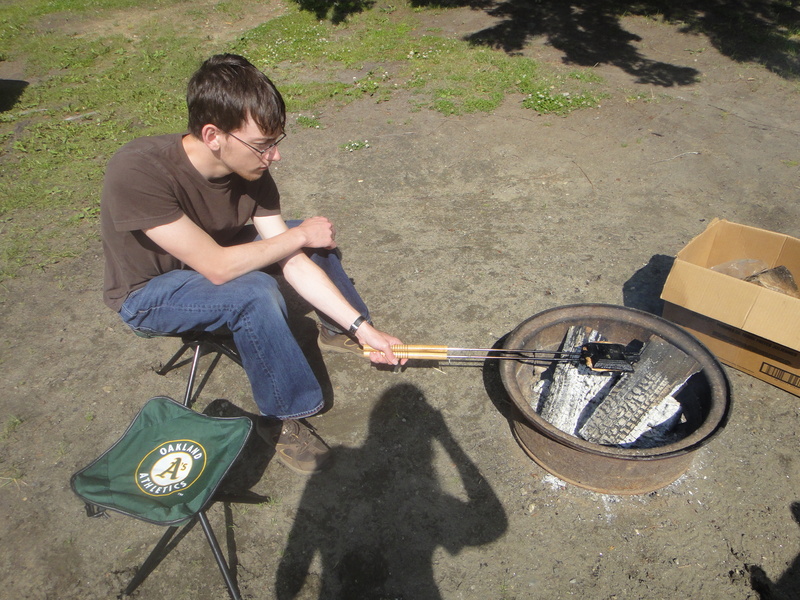 I wanted to share with you the best campfire food recipe you could ever make on a camping trip. It’s honestly genius! First things first. You need an eskimo pie maker. Next time you are headed out camping, stop by Canadian Tire and pick one up. You will not regret it. 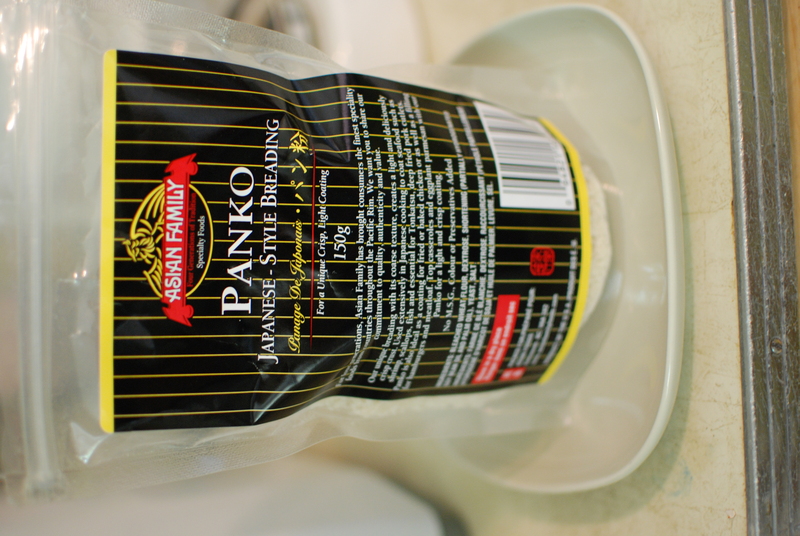 The diversity of foodstuffs you can make in this thing is incredible! Here’s how we made breakfast sandwiches. 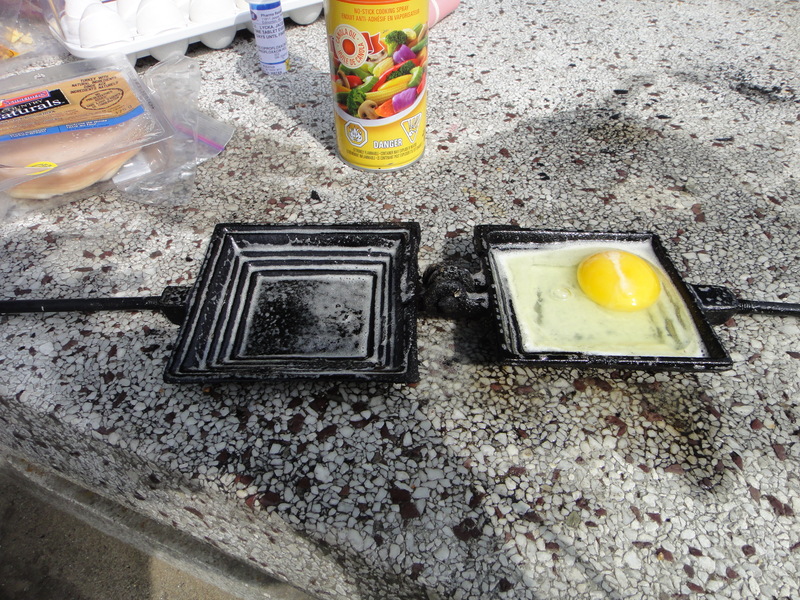 Next, crack you egg in the smaller side and let it sizzle. 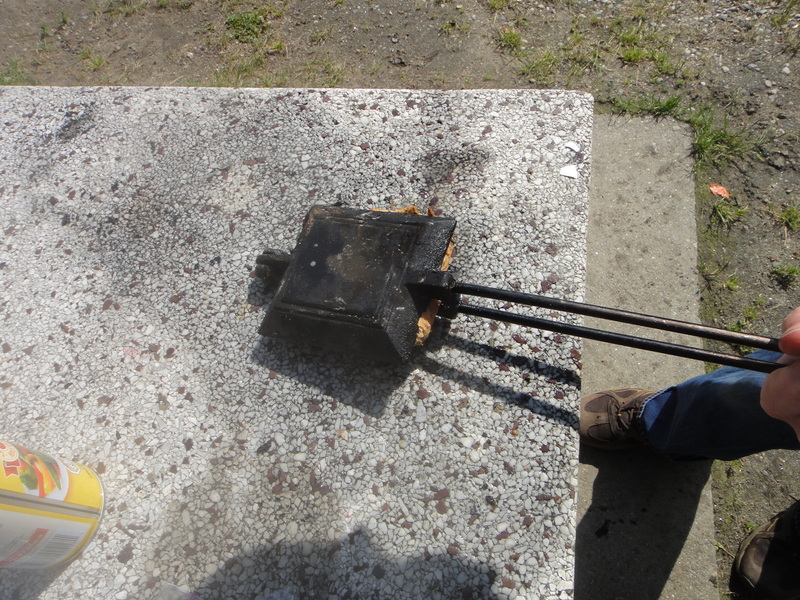 Being very careful to keep the contraption level, you can carry the pie maker back over to the fire and heat the egg until cooked. 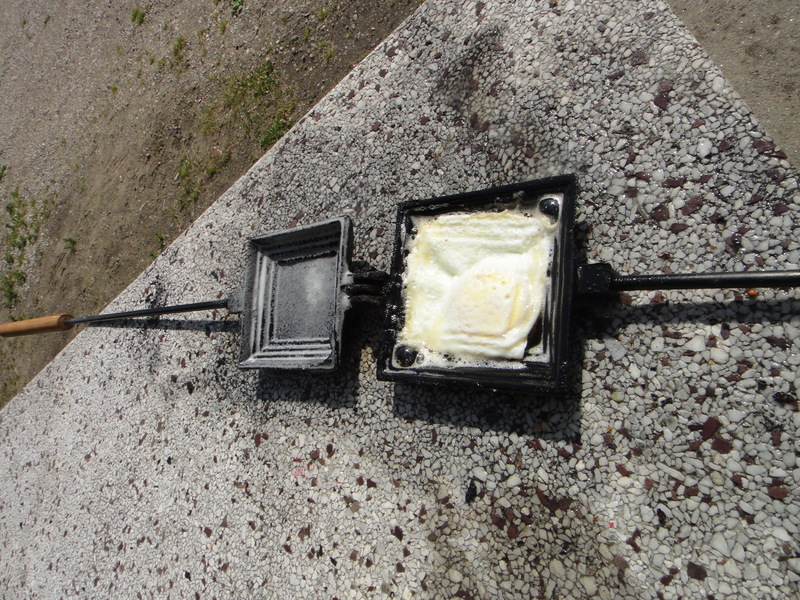 Or, if your pie maker is hot enough, you can let it sizzle where it stands. Next, flip it over so that the other side gets nice and cooked. When your egg is cooked to your liking, spray again and add a piece of sliced bread, close and flip over so that the egg is resting on the bread. 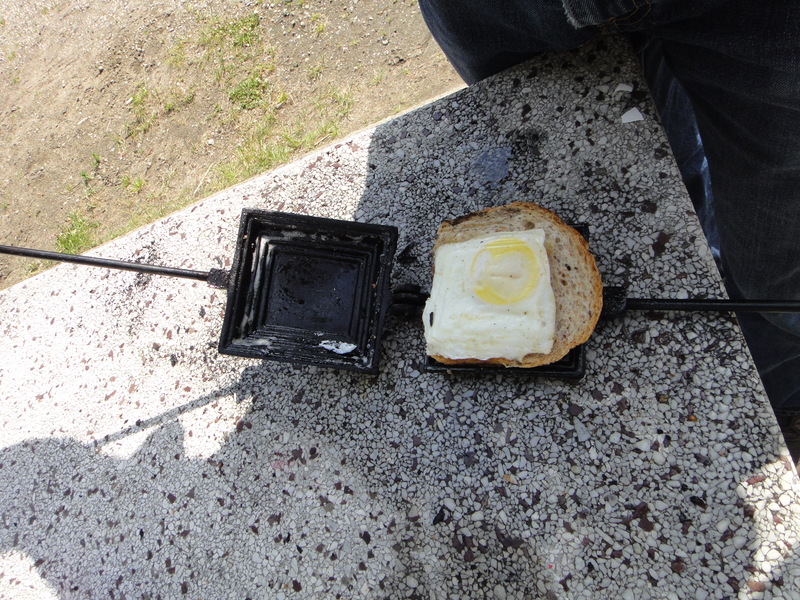 Now here’s the fun part: You can add just about anything you brought camping to your breakfast sandwich, including ketchup, hot dogs, cheese… etc. 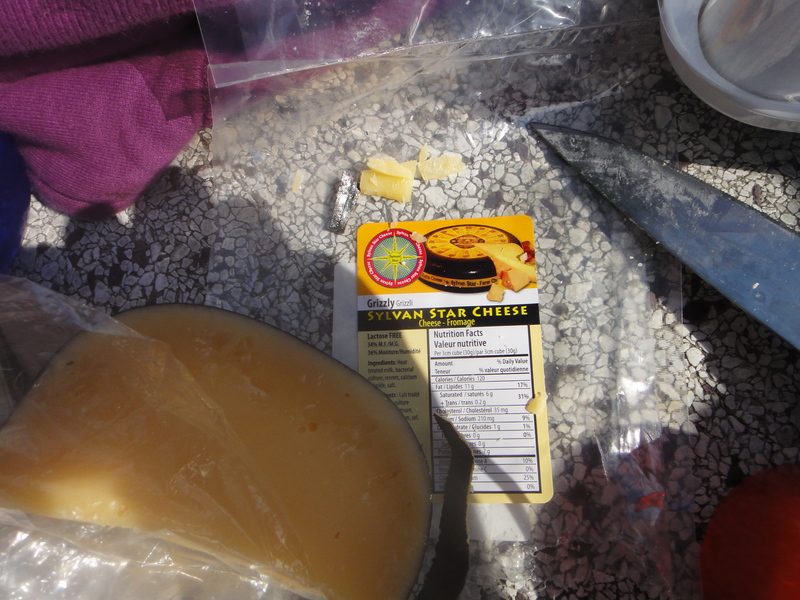 We used amazing Sylvan Star Cheese (try the grizzly, it is to die for!! 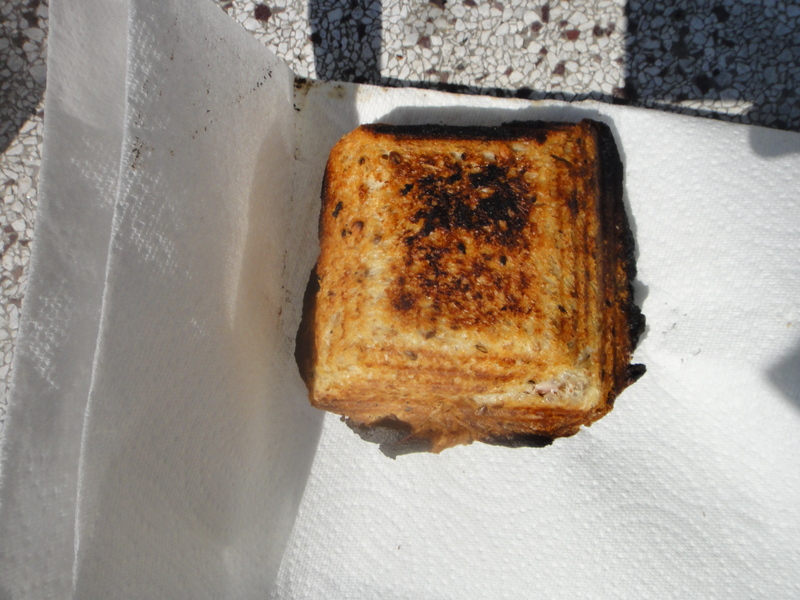 ), to add some cheezy zest to the sandwich. We also added a slice of sandwich meat for good measure. Pile everything on top of the egg. 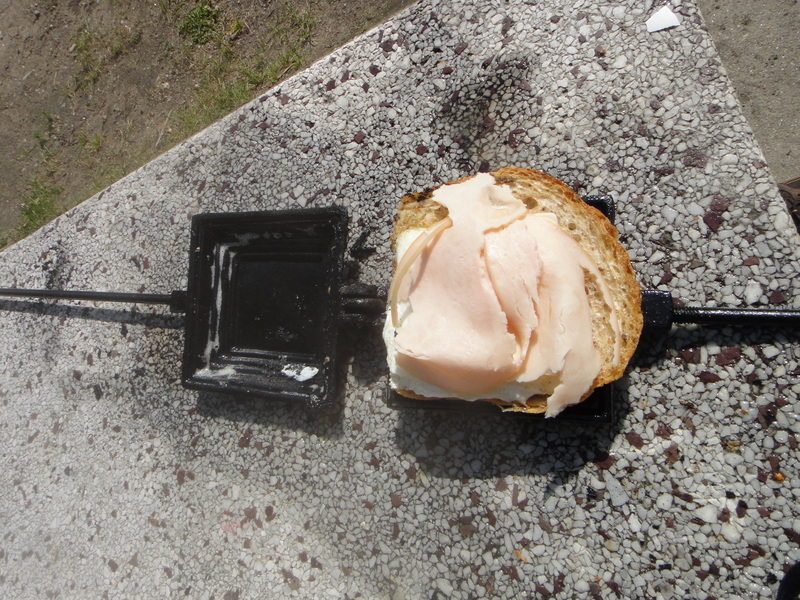 Then spray again with pam, add another slice of bread on top and close tight. 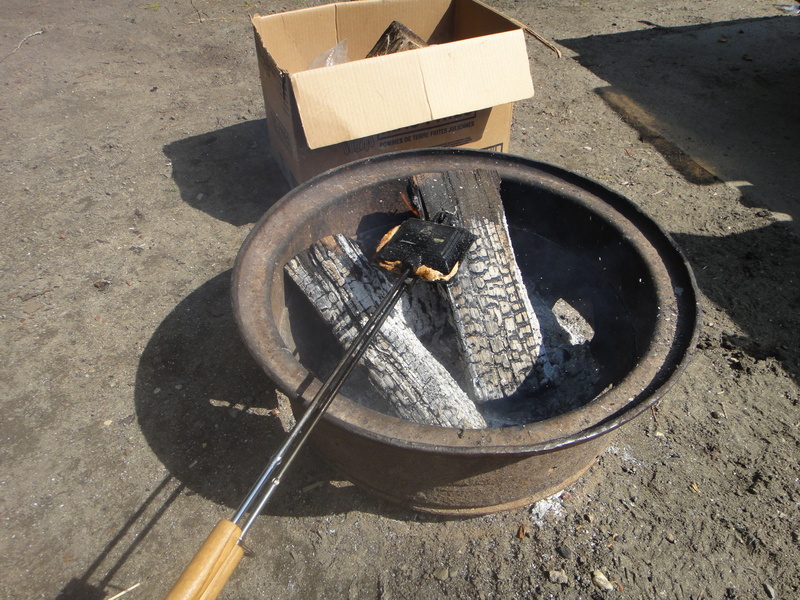 Stick it in the fire again until it is nice and toasted. 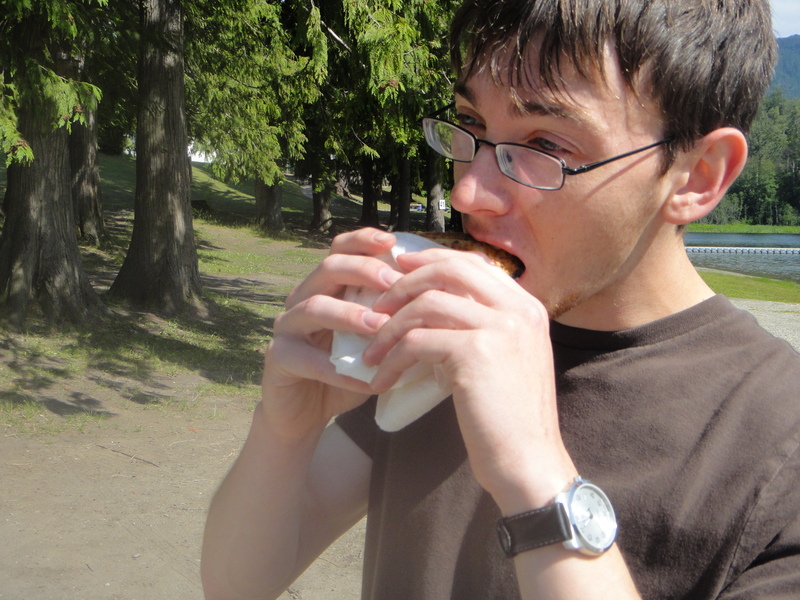 Here is Justin concentrating hard on his sandwich. Flip it on to a paper towel and you’ve got an amazing breakfast that will fuel you for a full day of adventuring! You have the nitty gritty details on how to make these above. Just remmeber that these take time and planning to make. 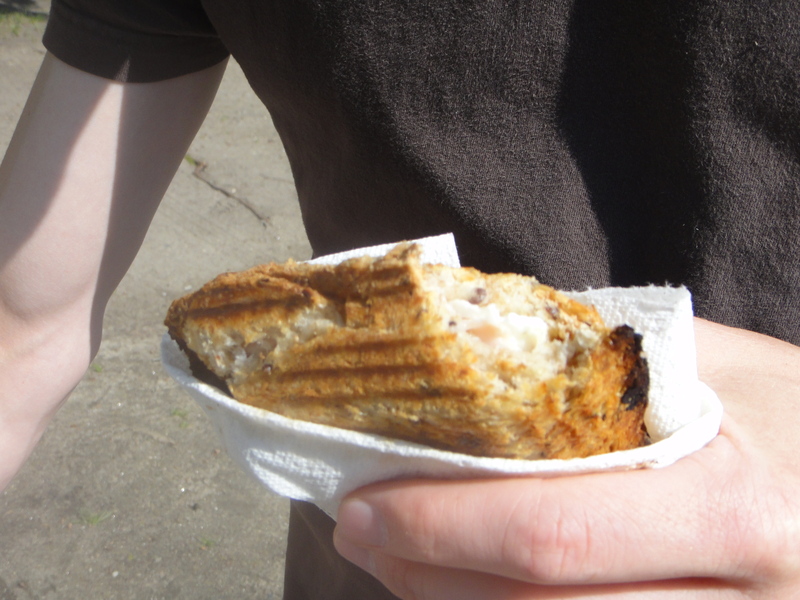 If you forget to bring an essential ingredient (like the pam, or the pie maker for that matter), the sandwich will probably not turn out – but have no fear! You can just as easily make an actual pie with this contraption (all you need is pie filling and two slices of bread), or you can make pizza (two slices of bread, cheese and pizza sauce). 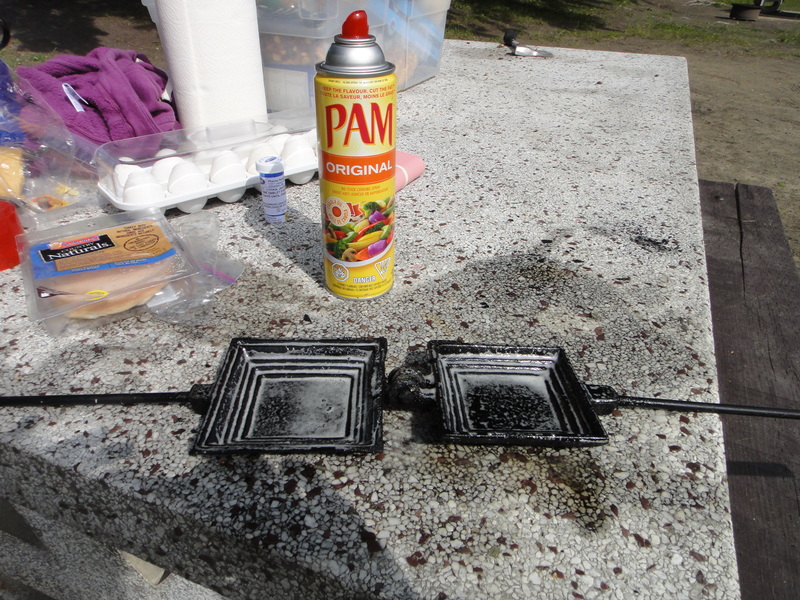 Just remember to spray with pam after each use or you will have a very stuck eskimo pie in your eskimo pie maker. Enjoy and happy camping!